We are your single source for complete production lines for rolled canister wipes packaged rolled products and more. What Are You Missing in Your Machining Partner? You're Always looking for ways to maximize your investment in your equipment and make your production run more smoothly. When it comes to engaging a partner for your machining and contract manufacturing needs, what could you be missing? From reverse engineering to custom machining to milling--are they providing the highest level of engineering support and eye to detail? Deliver on-time and under budget? 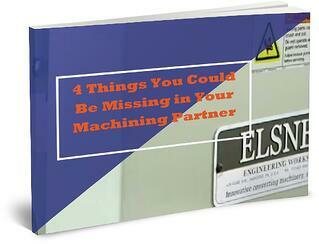 Ebook: 4 Things You Could Be Missing in Your Machining Partner.